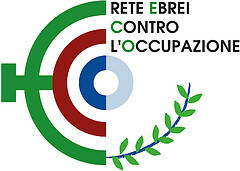 Rete Eco - National States, personal identity and Democratic Freedoms. This has two versions, the secular one, implemented in revolutionary France in 1789, and the religious one (“one race, one language, one religion”) which has constituted the bases of many nationalist movements in the two following centuries. Still nowadays it is the inspiring force behind the most ferocious nation- states in the world. The Nation supplies the identity that makes those human beings living within land, defined more or less precisely by borders, feel solidarity one for the other. This solidarity is limited to its members, and excludes other human beings because they are different in as much as one or another, or all of their national identity features are different. Thus, in the last three centuries, massacres have taken on proportions never seen before: 55 million killed just in World War 2 (probably more considering deaths “produced” by hunger and disease), thanks to the incredible technological progress of weapons. One can only think with dismay of what World War 3 could entail, now that thermonuclear weapons are so widespread. The idolatrous principle according to which legitimate Authority resides in the Nations, to whom citizens owe loyalty and obedience, right up to the giving of one's life, has so far never been undermined. The President of the USA, Trump, recently reconfirmed this principle during his solemn speech to the United Nations General Assembly on September, 18th . Before him, Pope Paul VI recognized individual nations as the source of the Authority of their association: the United Nations. His renunciation of Christian universalism can be seen as political realism in the world of that time and also of today. It was put in place so as not to seem in contradiction with the "value" of the nation- a tribal violent and unreasonnable “value” which still dominates much nationalistic thought. In the reality of history of the last two centuries, the tribal struggles between nations have continued with disastrous effects due to modern technological development which has equipped National States with extremely effective weapons of mass destruction. Only a few people dedicated to peace and fraternal civilization opposed this, remaining unheard prophets: Gandhi and Lorenzo Milani, amongst many others, are two of the most prominent followers of this line of thought, which they developed and put into practice, as ethics and politics for people and for human societies. The internationalist ideal of Communism, essential for Marx and for the founders of the communist movement which should have achieved proletarian internationalism was defeated by nationalist communism established by Lenin and his successors after the seizure of power in 1917 in Russia. They supported the theory and the ferocious practice of the State of Soviet Russia. The Soviet State, although multi-ethnic, was supported by a harsh dictatorship in which the "Soviet of the workers and peasants" had no real power. Their behaviour, from the point of view of international relations, was no different from that of the capitalist and imperialist states. Popular solidarity was able to emerge from the gloomy repressive character of dictatorship only when Soviet Russia was attacked by Nazi Germany and its allies, including Fascist Italy. The Russian people’s struggle for freedom was an epic of collective resistance, which went beyond their obedience to the national dictatorial regime, and determined the defeat of Nazi-fascism, paid for with more than 22 million deaths from all the USSR- of which about half were civilians and half military. The paradigmatic example of the regression of civilization caused by the creation of a nation-state is afforded by the creation and evolution of the State of Israel in the years from the end of the 19th century to the present day. In 1948, European Jewry, dispersed in various European countries for many centuries and often severely persecuted, were finally subjected to the genocide attempt enacted by Nazi-fascism between 1940-1945, constituted their nation-state, Israel, in Palestine. The process, from its beginnings, at the end of the 19th century, was not without contrasts in the Jewish world, where, from the Renaissance on, Jewish culture had contributed a great deal to the spreading of European culture, hand in hand with the secularization of society, a society constituted by a Jewish minority group and a large Christian majority. The choice of Palestine, the "land of the Fathers," as the place to establish the Jewish State had not been without conflict: Herzl himself, who at the First Zionist Congress of 1897 in Basel had proposed the creation of a Jewish State in which the Jewish People were recognized and gathered, had initially proposed a deserted or almost deserted area in Argentina. The presence of religious Jews attached to tradition, albeit a minority among early Zionists, were successful in obtaining the chosen site to be Palestine, at that time part of the Ottoman Empire, and deprived for many centuries of a state structure of its own. In Palestine, however, the Palestinian people had lived for many centuries They never had a state their own, but inhabited that land which had been part of the Ottoman -until its end in 1918-, and then part of the British Mandate -until 1948. At the moment of the proclamation of the State of Israel in 1948, the great majority of Israeli Jews were not religious, and the character of Israel was that of a secular, liberal social-democratic society, of the kind of so many states of the West in both Europe and America. However, Arab Palestinians were largely driven away, and those remaining were severely discriminated against and deprived not only of the fundamental right of citizenship, but also of fundamental human rights. In 1967, Israel attacked its neighbouring Arab states: Egypt, Jordan, Lebanon and Syria. They had the support of US strategic and information systems and a modern armament. They defeated them in 6 days. They conquered the West Bank, Jerusalem, Sinai, the Gaza Strip and Syrian Golan Heights. UN protests and deliberations remained dead letters, not least because US veto in the Security Council banned all sanctions against Israel. The Sinai was transferred to Egypt when the latter passed from being a Soviet Union ally to one of the US, with a peace treaty "assisted" by the United States. The expulsion of Palestinians from their land continued in the West Bank, as did the settling of Israeli occupants, assisted by the occupying Israeli army. Colonization of the West Bank ignored international law and a whole series of UN deliberations, with the clear intention, recently also officially and publicly stated, of the annexation to Isreal, of all lands between the Jordan River and the Mediterranean,including the entire city of Jerusalem and Syrian Golan Heights. In the following decades, Jewish immigration from the US, Russia and to a lesser extent from Europe greatly increased the number and political influence of "religious" fundamentalists in the country, to the extent that it is now governed by a parliament majority of religious fundamentalist parties. They are imposing laws modelled on rules of life dictated by the Jewish religion and taken from the literal interpretation of the oldest rules of the Torah, including those written in the most ferocious way in the language of primitive tribes. Laws that are incompatible with modern liberal democracy. This situation is obnoxious also to non-religious Israelis, and further aggravates discrimination against Arab Palestinians who in 1948-49 decided to stay in Israel, as an ethnic and, for many, also religious minority.